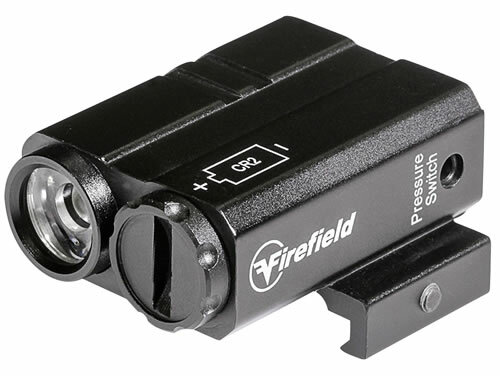 Firefield's Charge AR Flashlight is the ideal light accessory for your AR-style rifle. The low profile design allows it to be easily attached to a Weaver or Picatinny rail. It is powered by a CR2 battery and operated by a push button or pressure pad. The LED bulb has an output of 180 Lumens . This model is constructed from a durable aluminum with a matte black finish.